Long before house numbers were used in addresses, the British utilized house names to identify homes within their community. Initially, only royals, members of the peerage and wealthy landowners observed this practice and named their properties based on the location or their ancestry. For example, the Duke of Westmoreland will name his main residence as Westmoreland Palace and its surrounding structures within his properties as Westmoreland Cottage, Westmoreland House, The Old Farmhouse, The Old Schoolhouse, and so on. However, today, naming properties are no longer limited to the location of the property or ancestry of the owner. The British have become more creative. The British have named their houses after a distinguishing landmark within the immediate proximity of their homes. For example, Maple Cottage, Rosemary Inn, Elm Tree Lodge, The Willows. Others have named their houses after vacation spots such as The Hamptons, The Everglades, Florence House. Others name their houses after a distinctive feature of the house like Red Brick, Greystone or Oakwood. Several have named their houses after the view from the house like Two Rivers, Cliffside, Bayview and Forest Hills. Some have taken to naming their houses after animals like Owl Cottage, Foxhole Eagles Nest and Deer Lodge. In 1765, a law declared that aside from house names, all new properties must have a house number and street name for easy identification of properties. 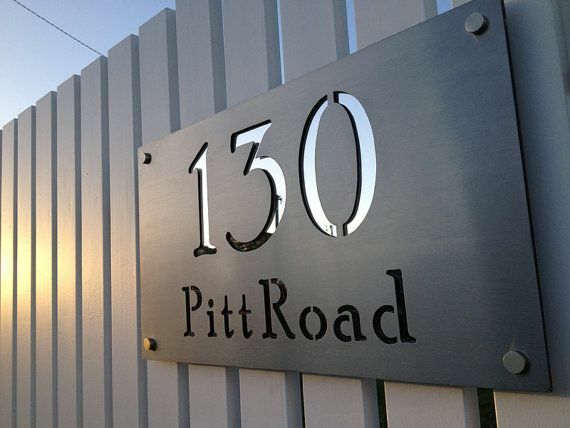 Today, proud property owners display their house names through personalized house signs.